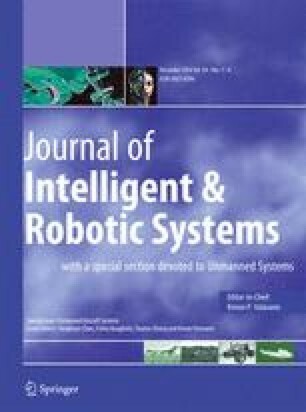 This work describes the development of a platform to deal with simulated and real autonomous flights with rotary-wing aircrafts. Such a platform, referred to as AuRoRA Platform – Autonomous Robots for Research and Applications – contemplates hardware and software, and is designed for use with commercial miniature rotorcrafts, also embedding the instrumentation necessary to autonomously guide them. An electronic board, called AuRoRA Board, is designed and manufactured to integrate the instrumentation and the actuators already included in the commercial vehicles. AuRoRa is implemented to exchange information with such a board and an external computer (ground control station), performing as a high level Hardware-in-the-Loop platform, capable of running simulations and real experiments. In the last case it works as a ground station responsible for sending control signals to the servomotors of the aircraft. In terms of real flights, the AuRoRa Platform was already tested with the AR.Drone Parrot quadrotor and the ALIGN T-REX 450 and T-REX 600 miniature helicopters. The AuRoRa platform also has a characteristic of being a decentralized system, in terms of computer effort. It avoids overloading a single computer with the synthesis of the control signals and the online exhibition of the flight data. The user can enable such feature, and the online exhibition of the flight data start running in a second computer, using an UDP communication channel. Simulation and experimental results are run using the AuRoRa platform, some of which are presented in this paper. The most important characteristics of our proposal is the integration of modelling, control, simulation, experimentation and data display, as detailed in this manuscript.